The service was good that day,I like the staff in the service department. 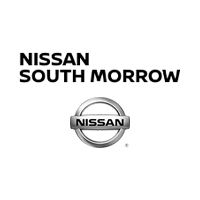 I have another issues that happen with my Sirus XM radio .I'm not sure if i will return to Nissan south to service my pathfinder again. I'm sure Nissan south would care they have some many other customer.I hold Nissan south and Sirus XM accountable for the issues ,because between the 2 of them somebody did not do their job it cost me time & stress.i will be filing a complaint with the BBB because this should have been taken care of before i purchased this SUV..Mr.Dalton was very nice. He went out of his way to inform me of what happen with The SUV before I Purchased it. He's always been nice to me whenever I had an issue with car. I came in thinking about buying a used vehicle because I didn’t think I qualified to get a new car. So pleased to drive off in a new 2019 Altima! Friendly Service. Reasonable prices for Automobile. Ila was my salesperson and was super helpful and sweet. She was patient and insured that I got the car I wanted at the price I needed. Kandace was also helpful in showing me all the features of the car and making sure that my phone and other electronics were synced to the car properly before I left the lot. I am beyond satisfied with my purchase and the customer service I received! Go see Ms. Ila and Kandace!